North St. Bags needs more room. Again. 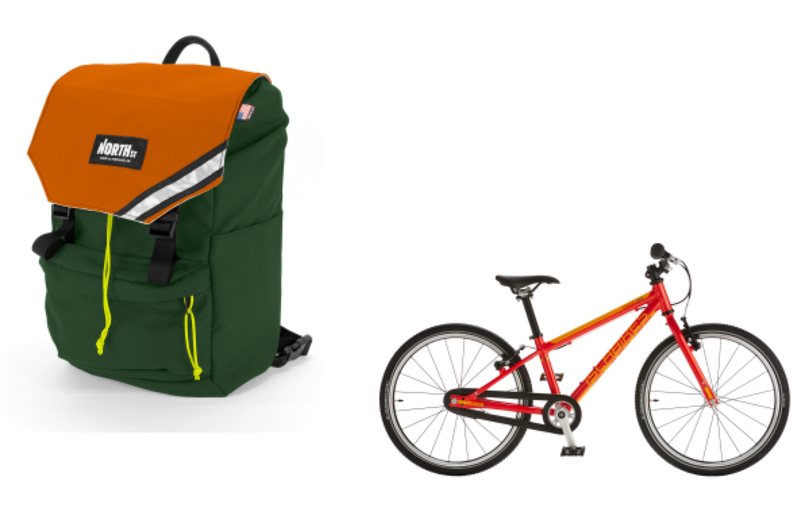 North St. Bags’ new Morrison backpack/pannier and the new Cnoc 20 from Islabikes. 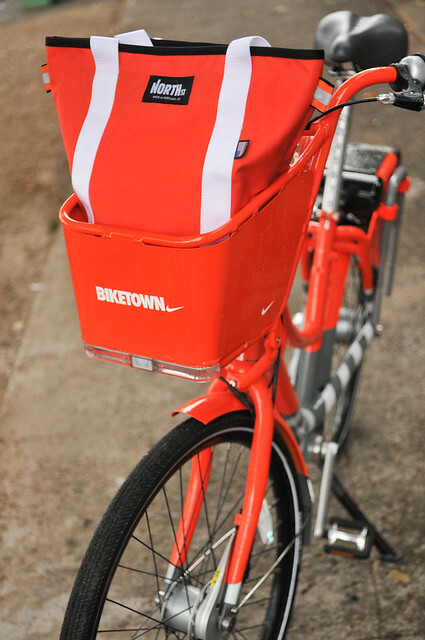 North St.’s new “Townie Tote” model. It also comes in dark grey. Portland Design Works’ new City Rover and the “Scout” from North St. Bags. 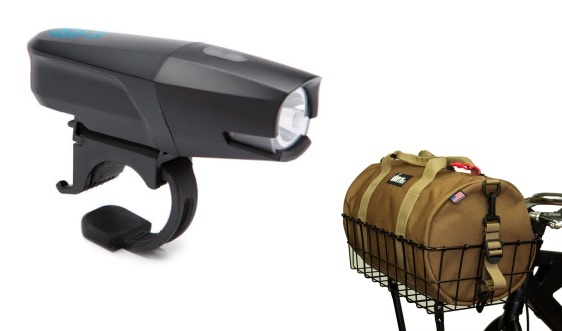 Two of our favorite local companies have just announced new products: Portland Design Works has a new headlight and North St. Bags just went big with a whole new line of duffel bags. There’s nothing we like better than seeing a Portland-born and raised company make it big. 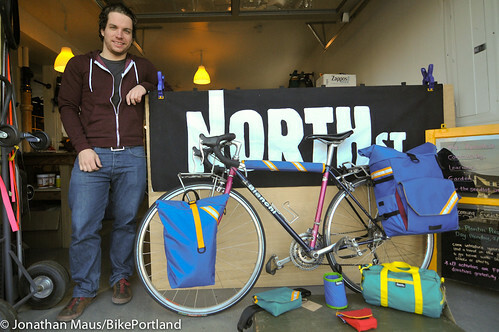 It seems like yesterday that Curtis Williams showed up at BikeCraft with some great bags and panniers. Since 2009 he’s built North St. Bags into a successful business that just keeps chugging along. Check out the press release below for his latest exciting news. PORTLAND, Oregon—MAY 4, 2015—North St. 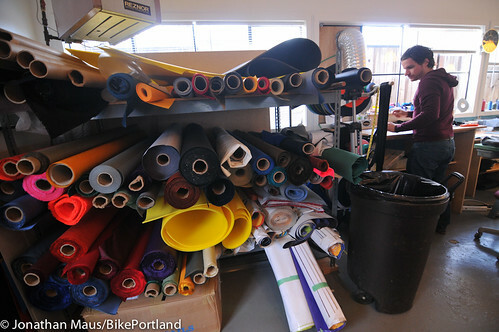 Bags is proud to announce the launch of a new retail concept storefront in Southeast Portland. Nearly tripling its existing showroom area, the North St. 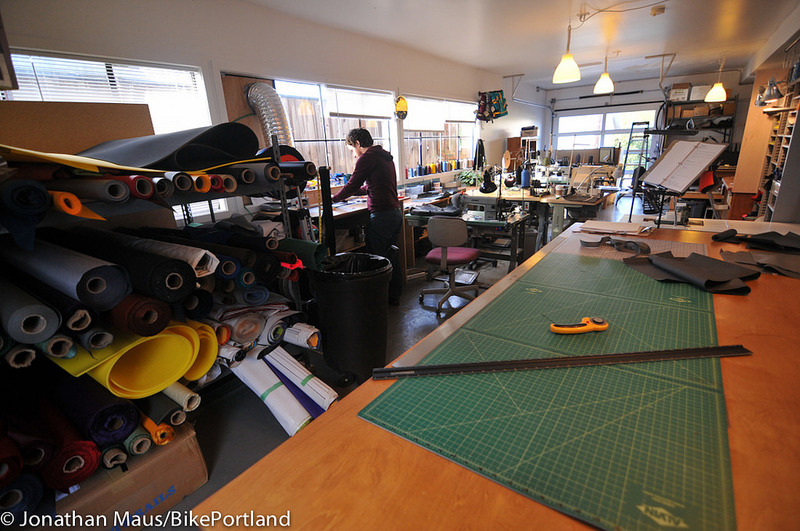 Bags SHOP HQ will showcase on-hand inventory from its line of Made-in-Portland convertible pannier bags and other cycling accessories. “Knocking down a couple of walls really opened the place up,” mused North St. Bags Founder, Curtis Williams who recently took over the entire first floor of their building to accommodate the retail expansion. Curtis Williams in the window of his new work and retail space on SE 23rd Ave.